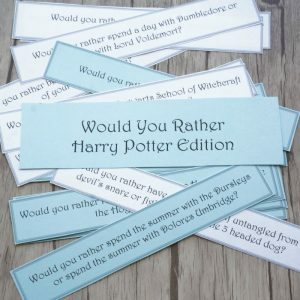 We have had so much fun over the years developing and playing different versions of the classic Would You Rather game. 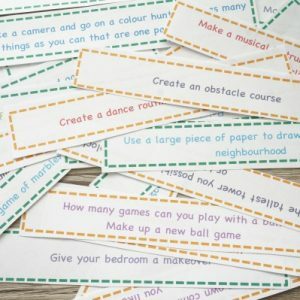 Whether it’s a seasonal theme or a favourite movie theme – Would You Rather games are a fun way to connect and play with your kids. 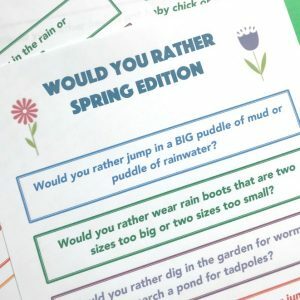 Rainy days won’t stop us from having fun with our Spring Would You Rather for kids. The rain might be falling, but the flowers are blooming and it’s time for a silly game. 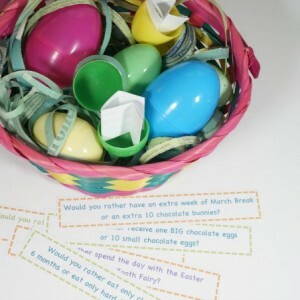 The Easter Bunny totally approves of our Would You Rather Easter Edition. So many chocolate dilemmas to ponder. 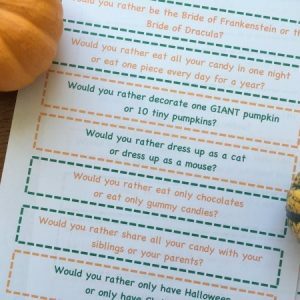 Would You Rather Halloween Edition is all about the tricks and treats. 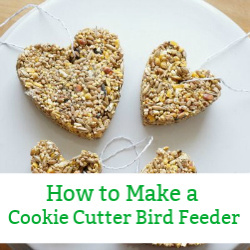 Perfect silly Halloween fun for kids of all ages. 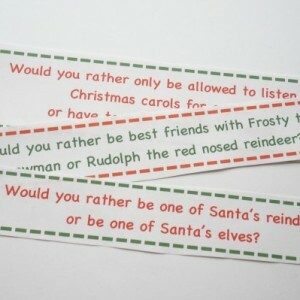 Would You Rather Christmas Edition We heard that Santa Claus loves playing our Christmas would you rather…so you should probably give it a try. 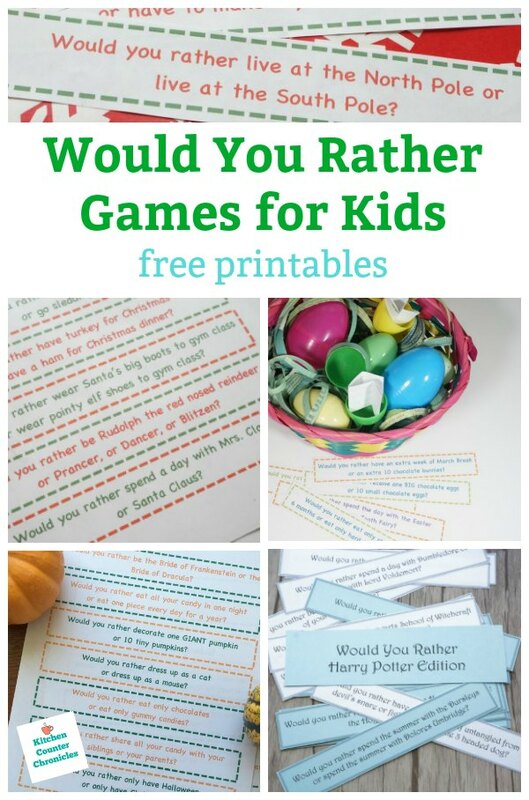 How do we play these Would You Rather Games? There are a number of ways to play the games. 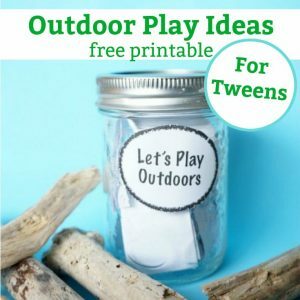 First, once we print them off and cut them off we place them inside a mason jar. 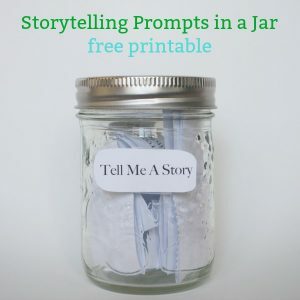 Then the jar can be taken in the car on long road trips. Or, we’ve brought the game along with us when we visit with family over the holidays…makes for a fun dinner conversation. Speaking of dinner conversation – we also play around our own dinner table during the holidays. 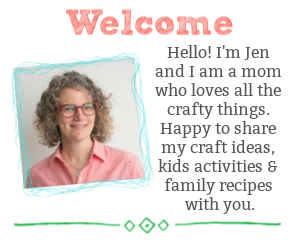 Another fun idea is to pop the questions inside our kids’ lunch boxes. Then the kids can play along at school…debating some funny topics! I love hiding the questions. Yep, hide them inside the Christmas advent calendar, inside the plastic Easter eggs or inside birthday cards. Finally, print off the game and give the game to friends as a gift. 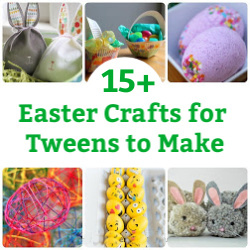 What an inexpensive gift for kids to give to their friends…no special equipment is needed…just your creativity. How do you play Would You Rather? What topic should we cover next? What holiday should we add to our list? Share in the comments below and let’s have some more fun!